Philippines hotels is a first destination for both Pinoys and tourists looking to go travel Philippines. Our family's call to help you find the right place to reserve a room for accommodation starts by providing you a list of the different Manila hotels as well as those you can find in tourist spots and provinces frequently visited during summer vacation and by tourists from around the world. With our tips, expect to find cheap rates and alternative option deals and promos even if the first choices are fully accommodated. Knowing more about Philippines thru traveling, you will surely need a place to stay. With this aim, Philippines hotels is a must for a traveler tourist to look for accommodation. A place to stay is a priority before any travel happens to be the best ease in terms of experience. Below is our own list of the different choices where to stay in Manila or anywhere in the Philippines. There are so many 5 star hotels all over Metro Manila, especially those that are located near the airport and Manila Bay area where a very relaxing view of the sunset never fails to show. We've got quite a lot from our list and will grow this as we pass by one after the other. 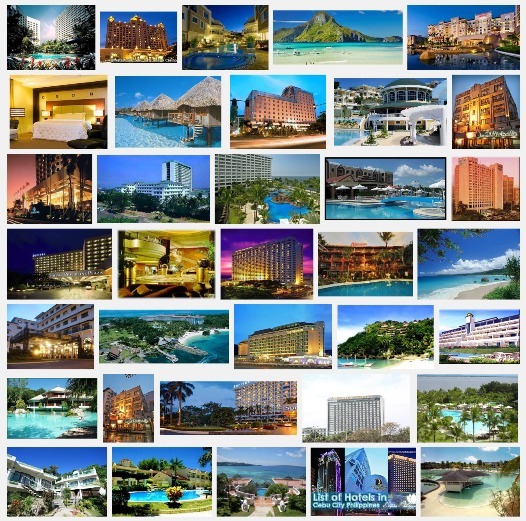 We will have a directory of classification of hotels in the Philippines because apart from being Pinoys, our family is very fond of looking for cheap rates and options as we travel to places all over Metro Manila. Expect to find apartelle, motel, inn, pension house, lodging house and yes, even the cheapest available that you can afford to rent for short time and overnight accommodation. We see them on the billboards, street signs and hotel entrance promo banners. Despite our efforts to give our visitors a grand treat to some of the most beautiful Philippines hotels, this part of our page reveals a list of cheap hotels in Manila with affordable rates and if you are lucky, you might just stumble upon regular and popular promos and discounts during offpeak and peak season start. No! don't you worry because we also have cheaper options for the traveling people like you below as we feature cheap provincial and tourist spot hotels from Baguio, Palawan, Boracay, Cebu, Davao, CamSur, Tagaytay, Manila, Antipolo, Laguna, Bulacan, Subic, Puerto Galera and more. Planning to go to Palawan? Here's a list of Philippines hotels in Palawan province. Boracay Island is a prime destination for both tourists from around the world as well as Pinoys who love summer and fun combined. Here is our list of popular Philippines hotels in Boracay white beach paradise.